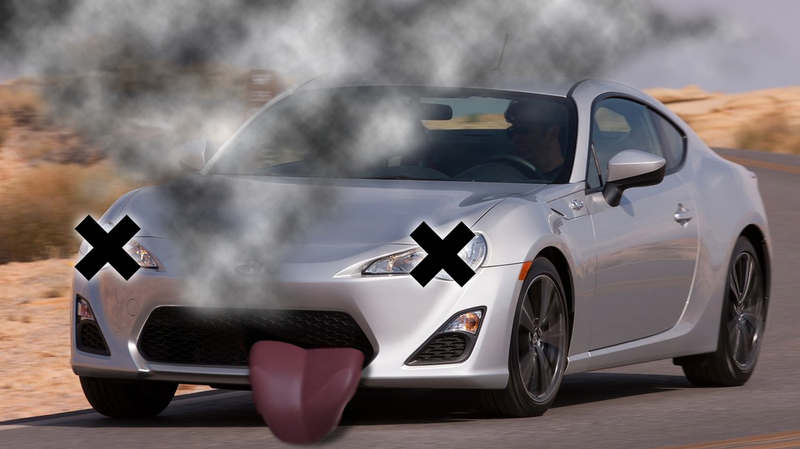 Jalopnik has received a bunch of tips about Scion FR-S and Subaru BRZ engines failing after being taken in for a valve spring recall. Yes, you read that right: The cars aren’t breaking and being recalled as a result, they’re allegedly being fixed under recall and then, as a result, breaking. Here’s what’s going on according to The Drive, whose author actually experienced the issue. 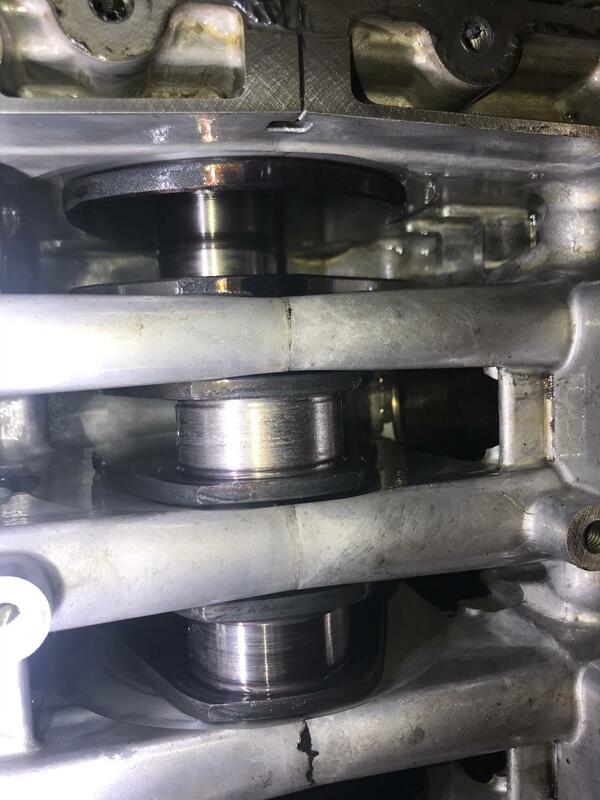 To compensate for the high stresses in this valvetrain, the springs were changed in May of 2013 to increase the “lower limit of the tolerance of the valve spring wire diameter,” one of the documents reads. For the cars built without these new springs, Toyota and Subaru agreed to notify owners and have dealers replace all the valve springs for free; the recall began the day after Christmas, 2018, and—per the remedy instructions posted to NHTSA—the repairs were slated to take 12 hours per vehicle—clearly tearing the engine open and replacing valve springs is a hell of a job. In that time, I researched the procedure and was concerned enough about its complexity that I double checked with the dealership that the technician had done it before. “The technician that will be working on your vehicle has done the recall before and is factory trained by Toyota so I hope this does help ease your mind,” came the soothing response. Tsui’s case doesn’t appear to be particularly rare, as he notes in his story that, per the thread “Failure After J02 Recall: Registry Thread” on the FT86 Club forum, 17 owners have reported engine issues—and even total engine failures in some cases—after having had the recall fix done. Fifteen of those cases, he states, involved Scions, while two involved Subarus. Since then, the thread’s claims have jumped to 24, with three being BRZs and the remainder FR-Ss. 412.8 miles after having J02 valve spring recall work performed, while driving, the vehicle began making a ticking noise. Within 2 minutes of driving, this escalated to loud metallic knocking. I pulled over immediately and had my vehicle towed to the dealership that performed the recall work. That was on February 18th, at 9 am in 2019. My vehicle has 53,610 miles. It is now march 8th, 2019. The dealership still has taken no action after determining that rod bearing #4 was spun. Dealership performs work. Vehicle dies while commuting to work about 1,000 miles after recall work performed. Vehicle towed back to Toyota of Santa Cruz. Juan and Mike relate to me that they will troubleshoot and, if they deem that the problem is from the recall work, they will fix the car for free. What exactly is going on isn’t clear, though other images of failed engines do show scored bearings, like Tsui’s, indicating an oil starvation issue. One prevailing theory on what might be causing the problems involves two factors. First, some think that Toyota dealers don’t have the experience working on these Boxer motors, which is why FR-Ss appear to be failing at a higher rate than BRZs—more than the roughly 2.7-to-one ratio that one might expect based on the how many more FR-Ss were recalled compared to BRZs. This is a tough one to prove, since it’s hard to know how many of each vehicle have been repaired. So perhaps this is just a matter of technicians using too much sealant, and it clogging oil passages? That seems like a fairly simple issue. We’ve reached out to Toyota and Subaru asking what’s going on, here. We’ll update when we hear back; in the meantime, check out Tsui’s story on The Drive. Usually when you take your car into the dealership for a safety recall, it comes out the other side of the shop imperceptibly better and safer than before. These are essentially mechanical firmware updates. It's theoretically one of the least risky things you could do to a vehicle—and at the end of the day, it's mandated by law. Yet for a growing number of Scion FR-S and Subaru BRZ owners, it also appears to be destroying their engines. Over the last few weeks, forums and social media have lit up with complaints that a recent recall to fix a valve spring issue the 2.0-liter flat-four engine found 400,000 Subarus and Scions is actually causing more harm than the original issue itself. This is not a simple procedure; it takes around 12 hours and requires the engine to be removed from the car and torn apart. The question is whether dealership techs—specifically, Toyota dealership techs, as we'll detail here—are botching the job due to incomplete guidance, inexperience, or both. We've contacted Toyota for a statement and will update this story when we hear back. And full disclosure: I am one of those affected owners, having taken my perfectly-functional 2013 Scion FR-S in for the recall in February and watched it die on the side of the road two weeks later. But you'll see this is not a case of an aggrieved soul using a platform for revenge. This is looking like a serious problem, one that's already affected more cars than were reported to have issues during the recall period itself. My 2013 FR-S, the day I picked it up. A registry thread on the FT86Club owners forum contains a full 17 owners reporting everything from sudden power loss, knocking, and complete engine failure in the last month after getting the valve spring recall done. Notably, 15 are Scions, while only 2 are Subarus. An owner on the r/ft86 page on Reddit wrote that their car was "dead," and that the dealer's limited answers seemed to circle around an oil starvation issue. "The service manager also let slip to me that mine is the third engine that's died after they performed the recall," they added. From this Wisconsin 86 Club Facebook group post from late January, "I heard from one of our main techs that the valve spring recall is destroying engines. They don't know why but this dealership in FL is not doing any more until Toyota gets back to us on a cause and solution." Even if Toyota and Subaru aren't giving any answers right now, a common consensus has developed at FT86Club and elsewhere that technicians are applying too much sealant when putting the engines back together, causing the liquid gasket to seep into the oil. You don't have to be a mechanic to know that doesn't sound good. And based on my personal experience and the evidence we've scrounged up, it sounds like Toyota and Subaru know it too. I purchased my certified pre-owned 2013 Scion FR-S in December 2016. The Toyota dealership advertised it as an in-house "Original" meaning its first owner leased it there, serviced it there, and gave it back to that same store to be resold to depreciation-evaders like myself. Because I'm so sensible, I even sprung for a 36-month/60,000km extended comprehensive warranty in the event that, uh...well, you'll see. The recall was issued in December of 2018, and like a good millennial, I waited until the beginning of February to get it done. In that time, I researched the procedure and was concerned enough about its complexity that I double checked with the dealership that the technician had done it before. "The technician that will be working on your vehicle has done the recall before and is factory trained by Toyota so I hope this does help ease your mind," came the soothing response. I dropped my car off on February 6, picked it up on February 8, and thought nothing of it for two weeks until it started to bog down during a spot of spirited driving one chilly morning. An ominous knocking rose up, and a few hundred yards later the poor thing died and refused to start. Exactly as the forums described—though most of those threads haven't even been started yet. Like other owners, I was in the dark. The dealership took the car in on a flatbed and told me they'd promptly get to work on rooting out what exactly had happened. As part of the investigation, Toyota corporate allegedly requested pictures of the inside of my timing cover from the dealer, a part that's held on by RTV (Room Temperature Vulcanizing) silicone—the liquid gasket that owners have been speculating might be the root cause of the failures. Worth noting is the fact that since the recall began, Subaru has issued revisions to its instruction package with bold, highlighted sections calling for technicians to "TAKE THEIR TIME when performing intricate repair procedures." The most recent copy that we could find was revised on February 13th, five days after I had already collected my car after doing the recall. It's also helpful to take a look at the publicly available job aid outlining where sealant is supposed to go. As you can see, it's not as simple as smearing on some silicone. It has to be done in a very specific manner that's unique to the construction of the flat-four engine, a construction that's not found on any other Toyota vehicle outside the Scion FR-S and now the Toyota 86. The engine itself was designed and built by Subaru. At this point, we're not going to definitively say Toyota techs are screwing up this job left and right because of inexperience working on Boxer engines. But given the evidence, especially the fact that far more of the post-recall problems are popping up in Scions serviced at Toyota dealerships...it's a strong theory. Unfortunately for some affected owners, the lack of hard proof or an official acknowledgment that the recall has anything to do with the engine failures is apparently going to cost them big bucks. "Dealership says tech found the ECU codes were recently deleted when they took the car from me. I told them I don't know what's going on. They say, based on that, they are not paying. I'm screwed," reports one FT86Club member. If it ain't fixed, broke it. At this point it might be cheaper to cut hoods and throw in 3.5s. No not that lawsuit crap. Toyota V6. Yes, mostly FRS' though. My thought is the Toyota technicians aren't as familiar with the Boxer motor reseals as much as the Subaru techs are since they see them daily. Yep. Losing one enthusiast at a time. They are much more interested in the green crackers coming in and buying an appliance. They lost people to EVs. Who would've thunk it? Except this is happening to the BRZ also and not just FRS. So they're interested in maintaining their long time core demographic of educated professionals? I wonder how long the trend of record sales will continue. I mostly see outbacks and wrx's and little to none of the other models. I do feel like Subaru's reliability has gone down some along with quality falling behind the competition. Price point wise, it's still pretty solid. I have been wondering that since I left Subaru nearly 10 years ago. This cannot be maintained, can it? But yeah, quality is certainly down IMHO. Thanks a lot Toyobama Honestly, I feel the quality drop is related to the rapid growth. You can't triple sales in under a decade and not have lapses in quality (Ahem, KIA / Hyundai) I'm happy for SOA, but kind of wish they were still a sub 300k annual sales brand. Believe it or not I've taken my BRZ to the Toyota dealership once or twice. His statement was "mostly". Sometimes it's just easier to go to the closest shop. However, I doubt the recall work would be done by Toyota for a Subaru since Subaru would need/want to track the BRZ getting it done, so I dunno.